If you've been around long enough, it will happen eventually. Been able to attend to each and EVERY case inquiry and solve it? Been able to help EVERY client retain some sort of normality in their life? Has EVERY client been thankful for your free service? Or at one point in time you will come across a person who contacts you regarding possible paranormal phenomena but that isn't their true reason. It often starts off harmless. Something like "I've got stuff going on. My draws in the kitchen move on their own and I hear scratching in the walls. I desperately need your help!!!!!!!". You give it a day, have a think and if you have a team or a case manager you refer the query to them. You start emailing back a few simple questions around frequency and witness collaboration and if they have possible photos or video that may have been taken (again to verify the reported activity). The next email is often very revealing. Or, more to the point what isn't revealing. Something like "yes my sister has seen the draws when they are out and it’s been happening for 5 months now but no footage”. What happened there? Very little. Barely any of the questions you asked were answered and when they were it was vague. Something as demanding as this rings alarm bells. Yes I can understand how awful it can feel when you are afraid in your own home. But unless the standard investigation protocols haven’t been communicated to the client at this stage, when this behaviour erupts it’s not a good sign. If you don't respond in 24 hours or more? (more than likely due to the fact you work in a job and/or look after a family or you could even be away on holiday/vacation) the following can be sent. "Fine. Don't reply. No one has been able to help and you haven't either. When I die from suicide because of this, I hope you help the next person. Thanks for nothing". Extreme isn't it. And yes, I've received emails like this. And although I take suicide very seriously, an email like this is a threat. Or more accurately a grab for attention. How can you tell? The timing of an email. Its only been a day and I haven't said anything apart from asking further questions. Not once did I in that time suggest I would not be helping further. Think about it... 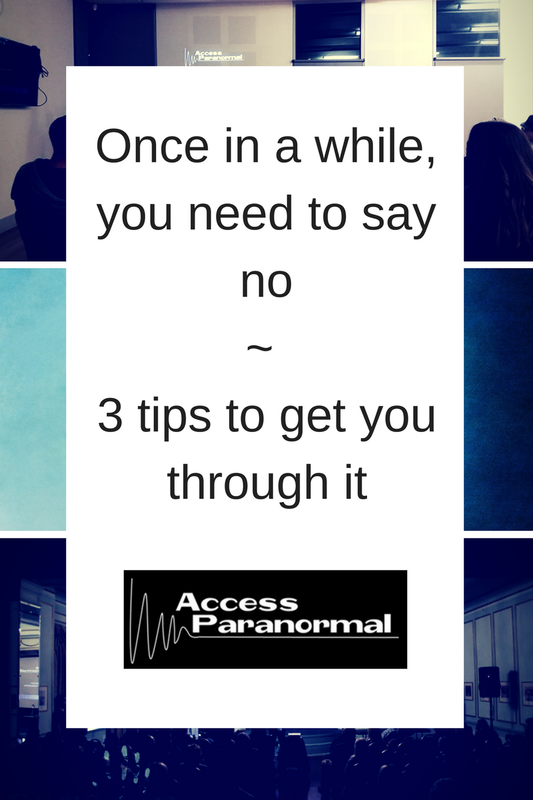 If you truly wanted help or advice from a person you wouldn't attempt to attack or threaten them before they have had a chance to confirm or decline a full paranormal investigation sequence. As horrible and unfortunate as it is, suicidal thoughts don't just "occur" and generally the act of suicide isn't used to threaten a person. If you yourself is going through a personal hell, this link can help. You will at some point receive an email in a similar way to this. So what do you do? 1. Have a good screening process for inquiries. This can be a lengthy contact form. For someone to fill one of those out, and I mean ALL of the information in detail then they take their current situation more seriously. 2. Attend a Mental Health First Aid course. 3. Don't just focus on the information provided by the person. Look for the information they don't provide as that can give clues. Sometimes what is missing gives more answers than what is said. But... always have respect. Regardless of what is going on, respect the fact they have made contact regarding their situation even if it may appear to not be genuine. So, if you do get a response email that is similar to the one above - don't reply. It's unfortunate but the reason such extremes like suicide are mentioned in this context is to elicit a response – rare but it happens. To help or assit with another persons mental health is out of your area of expertise. As Paranormal Investigators, we need to make sure the precious time we do spend working with private/residential cases focus on those who genuinely DO need help with possible paranormal phenomena. We are there to help detect if activity is occurring whether it’s paranormal or not. Our area of expertise isn't counselling those dealing with Mental Health issues. Bonus tip: You can always provide information to people about mental health symptom, but advising is a BIG no no.